Looking for an effective way to eat better, improve your health, and finally get the body you want? You’re in the right place. At Precision Nutrition, we help men and women get in their best shape ever — and stay that way — no matter how busy and hectic life gets. And the best news? We’ll soon be opening up spots in our next nutrition coaching group. Ready to become your fittest, strongest, healthiest self? The time is now. On Wednesday, July 17th, 2019 we’re opening registration for the next Precision Nutrition Coaching program for men and women. And here’s some really exciting news. For now, we’ll continue to offer the program at the lowest price ever ($97 USD per month), and we’ve committed another $250,000 USD in prize money to the clients who experience the biggest transformations — physical, mental, and more. Will Precision Nutrition work for you? Over the past 15 years, we’ve proven that the Precision Nutrition Coaching method is effective — through working with over 100,000 clients and publishing several peer-reviewed research papers on our approach. Our coaching team is made up of the top Ph.D.s, nutritionists, strength coaches, counselors, researchers, and specialists in the world. We’re veterans, so we know what works — and what doesn’t. We don’t prescribe short-term diets, meal plans, or “food rules”. Instead, we help you build the lasting skills and habits necessary to look and feel better — for the long term. For life. Just take a look at a few of our clients. Like Sue, a businesswoman from the UK. She lost 61 pounds with Precision Nutrition Coaching, gaining the energy and confidence — not to mention jean size — of a much younger person. Or Carm, an artist and designer from Canada. 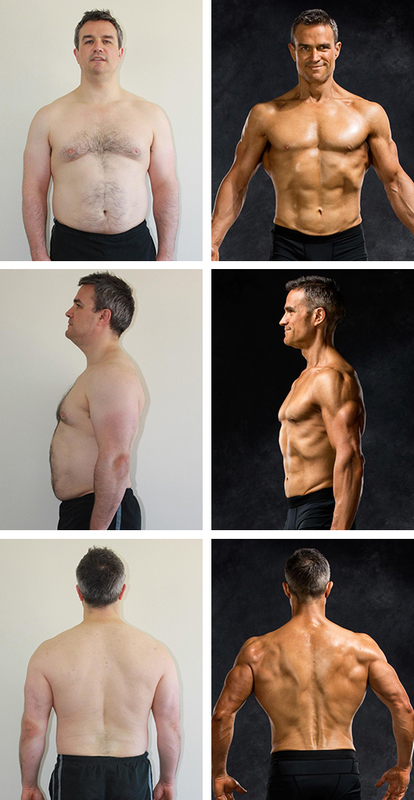 Through Precision Nutrition Coaching he became the ‘fit guy’ he never thought he could be. Now he takes his teenage boys hiking and camping and they struggle to keep up. Or Simone. With help from Precision Nutrition Coaching she got off the diet roller coaster and discovered a whole new freedom in her life. Now she focuses her energy on positive things vs. worrying about her weight. This short video details what you can expect from Precision Nutrition for Men. And this one details what you can expect from Precision Nutrition for Women. Work, children, aging parents, running a household, and all the surprises life can throw at us. It never stops being complicated or busy. That’s why we do something very different. At Precision Nutrition we often say that your program should be designed for your absolute worst days — not just your best days. You know the days I’m talking about… you’re low energy, nothing goes your way, your partner (or children) aren’t pleased when you get home, and you have a million other things to do than spend 2 hours working out and cooking organic meals. If you’re aren’t willing to put in the work, you don’t deserve the results. We’ll bring the accountability it takes for you to stay consistent. We’ll review your progress, answer questions, and make recommendations to help you improve. We’ll tap you on the shoulder if you start to regress. And we’ll help you get past each hurdle along the way. The result? You’ll get into the best shape of your life within 12 months. And you’ll have the habits, skills, and tools to stay that way for life. This approach has worked for thousands of clients, like Lorena, who learned that she could actually get better results with less effort. And Sean Patrick, who learned how to get past overwhelm by taking small steps everyday. If Precision Nutrition Coaching is right for you, it can be life-changing. But because of high demand, the program usually sells out within hours. So, if you’re interested in registering — or even if you’re just interested in learning more — your best bet is to put yourself on our free presale list. Once you add your name, we’ll send you more info. Plus, being on the list gives you the chance to register 24 hours before the general public. Here’s a little more inspiration from some previous clients. And that’s just a small sampling of the thousands of men and women who’ve had success with Precision Nutrition Coaching. We’re giving away over $250,000 in prize money this year! That’s right, every year we give away big prize money to the men and women who achieve the biggest transformations in our program. Consider this our antidote to the “you must suffer and feel guilty to get in shape” messages typically spewed out by the fitness industry. We don’t need any more negativity in our lives, and we’re sure you don’t either. So, instead, we give you something cool and inspiring to shoot for. Watch as we surprise recent grand prize winner Spencer. Watch as we surprise recent grand prize winner Lisa. Just so you know, in addition to Precision Nutrition Coaching, we also provide nutrition advice to the most elite athletes and professionals in the world. Companies like Nike, Apple, and Equinox; professional sports teams like the San Antonio Spurs and the Carolina Panthers; and dozens of Olympic athletes and their coaches call on us when they want next-level nutrition and performance strategies. Precision Nutrition Coaching is so uniquely successful that Fast Company recently named us one of the most innovative companies in fitness. Plus, as I’ve mentioned, the Precision Nutrition method has been tried and tested with over 100,000 clients. And several peer-reviewed research papers have documented its safety and effectiveness. In the end, we know what works. We have a proven system in place. And we consistently produce life-changing results for our clients, year in and year out. Lots of people consider us the world’s leading experts in nutrition coaching. It’s a big responsibility, and we don’t take it lightly. Which is why we do everything possible to help you succeed. Plus, you’ll save up to 54% off the regular cost of the program. Indeed, if you’re on our presale list, you’ll be able to get access to Precision Nutrition Coaching for just $97 USD per month, our lowest price ever. I’ve been coaching for 25+ years now, and I can genuinely say this is the most affordable I’ve ever seen this caliber of coaching. You’ll lose the weight (and body fat) you haven’t been able to shed for years. You’ll build physical strength and confidence. You’ll get results that last.